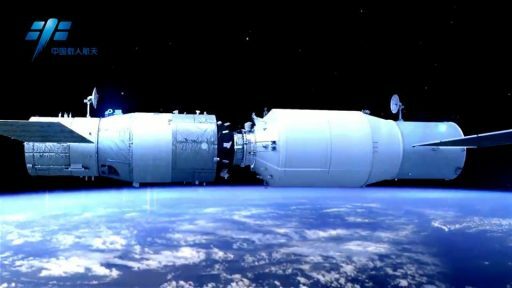 Tianzhou, Chinese for ‘Heavenly Ship,’ is China’s primary logistics spacecraft planned to serve the country’s large modular Space Station set to begin deployment in 2018. The Chinese Space Station (CSS) will comprise a large Core Module and at least two science laboratories to host a crew of three for six-month long missions over an operational life of more than a decade – requiring regular cargo shipments to replenish the station’s onboard propellant, keep the crew stocked up on supplies and deliver new science experiments. Tianzhou, in design, is very closely related to the Tiangong Space Station Modules launched by China in 2011 and 2016 as stepping stones toward the larger CSS, allowing critical technologies and operations to be demonstrated. 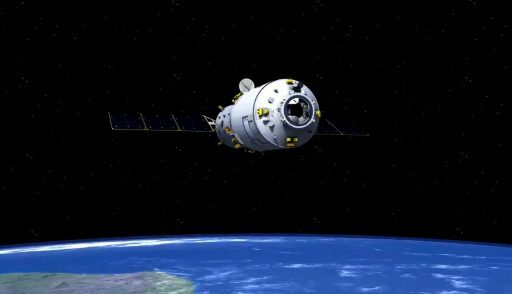 These milestones included China’s first autonomous docking, the demonstration of extended life support in orbit, cargo- and fuel logistics and extended crewed missions in the space environment. 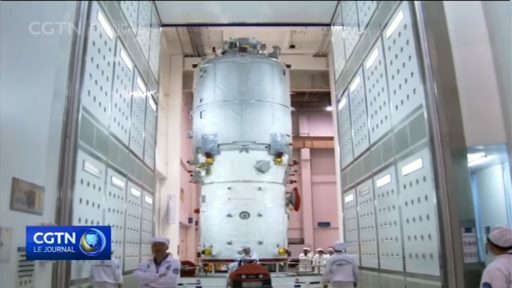 The Tianzhou spacecraft has been designed to be capable of pressurized, semi-pressurized and unpressurized cargo capabilities, allowing all types of payloads to be delivered to the Chinese Space Station. 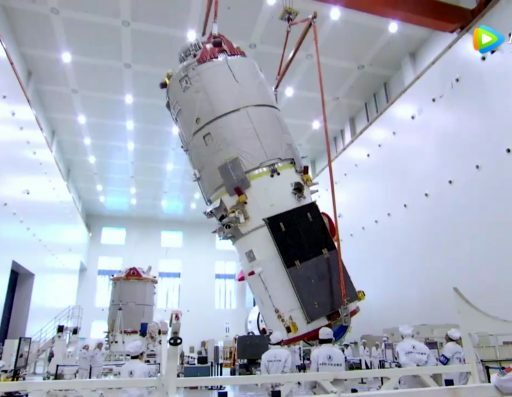 The craft will be launched from the Wenchang Satellite Launch Center on Hainan Island, utilizing China’s new medium-lift Long March 7 that debuted in 2016. Tianzhou shares a high-degree of commonality with the Tiangong design including its overall structure with three major sections – a Service Module in the aft containing the propulsion and power systems, a Transfer Module and the Pressurized Cargo Carrier capped by the docking system forward hatch of the spacecraft. 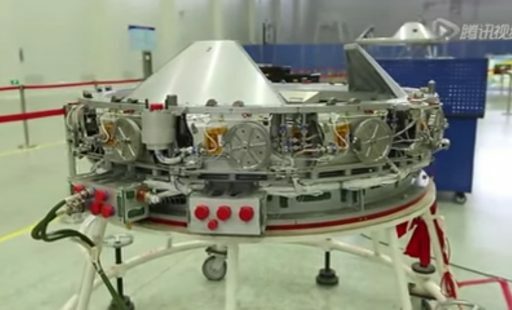 The vehicle is around 10.4 meters long and measures 3.35 meters in diameter around the cargo carrier while the Service Module uses a reduced diameter of 2.8 meters. 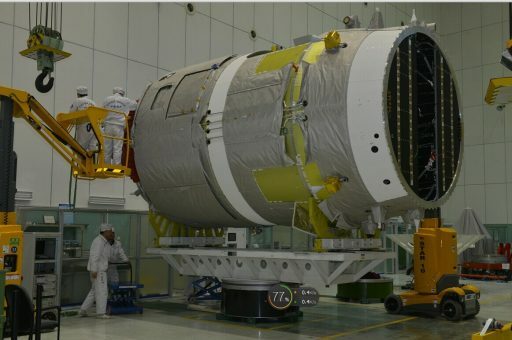 The spacecraft has a dry mass of 7,000 Kilograms and can take on a cargo mass of 6,500kg (constrained by the launch capability of the Long March 7 rocket). The Tianzhou spacecraft is operated by the China National Space Administration and built by the China Academy of Space Technology (CAST). By design, the spacecraft operates mostly autonomously and under ground control, capable of supporting Space Station’s orbiting between 300 and 400 Kilometers in altitude. Docking of the spacecraft is accomplished in automatic mode and the vehicle is certified of a multi-month stay at the space station before departing the complex to head toward a targeted, destructive re-entry. Reportedly, Tianzhou can support extended free flight missions of up to three months. 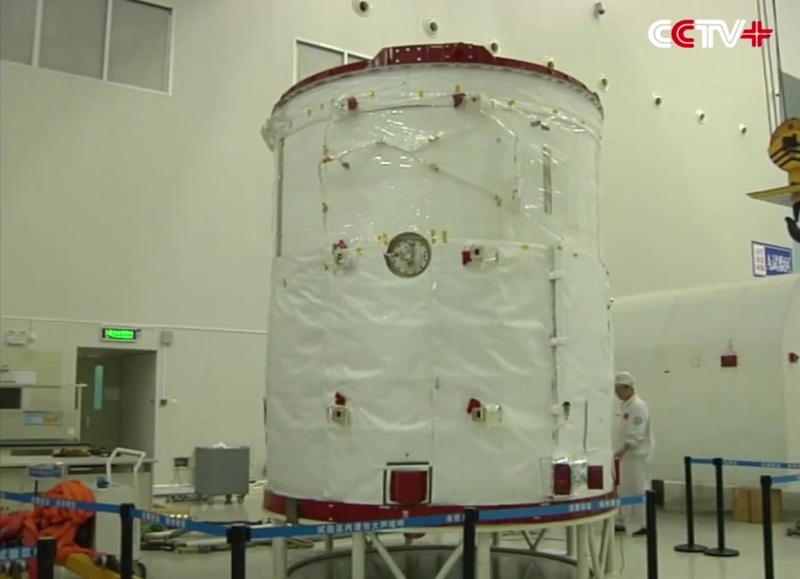 The first Tianzhou mission is planned in 2017 as a five-month shakedown flight to the Tiangong-2 space station module that previously hosted a pair of crew members for a month-long science mission. Over the course of its mission, Tianzhou-1 will dock to Tiangong-2 three separate times and each time demonstrate the transfer of propellants over to Tiangong’s tanks to reduce risk for China’s operational space station by verifying the principles of its fluid transfer system. The second Tianzhou mission is slated for 2018 once the Tianhe core module of the CSS has reached orbit, offering two docking ports to allow a Shenzhou crew vehicle and Tianzhou cargo craft to be present at the same time to permit internal cargo transfers. 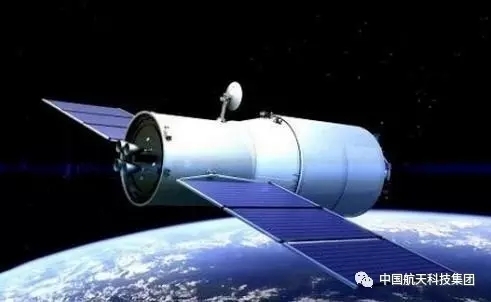 Once CSS is declared open for business, Shenzhou and Tianzhou will fly regularly to keep China’s orbital outpost staffed and maintain a steady chain of supplies. Tianzhou can be flown in three different versions. The baseline version employs a fully pressurized cargo module to deliver up to 6,500 Kilograms of internal cargo to CSS for transfer by the crew members. A ‘semi-pressurized’ version of the spacecraft has a smaller pressurized cargo carrier and an unpressurized cargo section below, similar to Japan’s H-II Transfer Vehicle with its Exposed Pallet that can be extracted robotically to facilitate the delivery of external payloads. 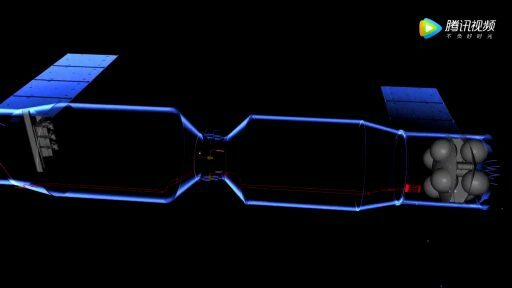 Finally, a fully unpressurized version of Tianzhou could deliver external payloads up to 4 x 3 meters in dimensions and a mass of around five metric tons. Similar to HTV, external payloads delivered by Tianzhou would be transferred robotically to the Chinese Space Station. 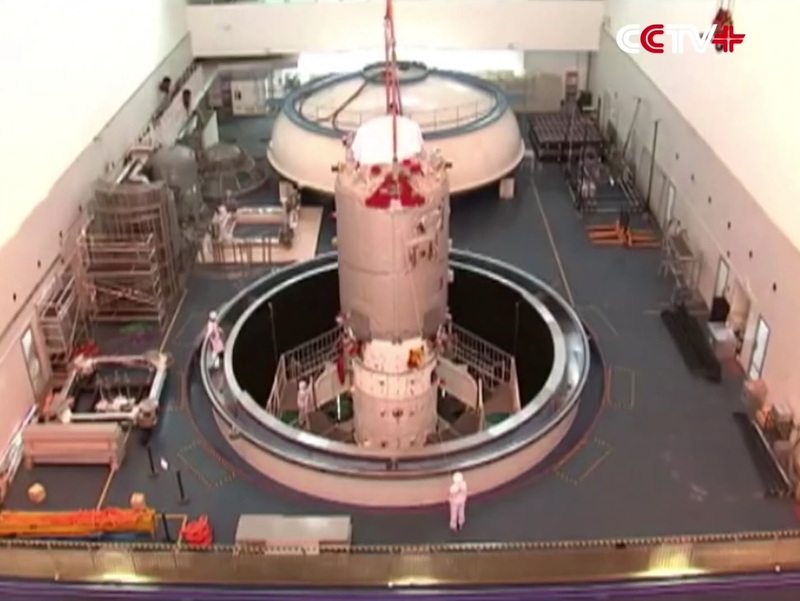 The Tianzhou Service Module is similar to the Tiangong SM, hosting the spacecraft’s propulsion and electrical power system as well as other platform subsystems. 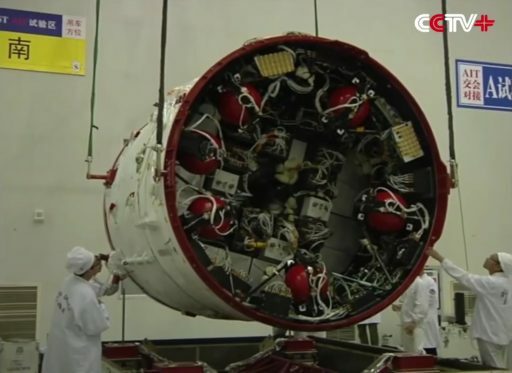 However, there are some changes from Tiangong to TZ including the number of propellant tanks and a more-powerful propulsion system, given TZ outweighs TG-2 by a factor of 1.6. The Service Module is around 3.3 meters long and 2.8 meters in diameter, hosting the spacecraft’s main engines, a number of attitude control thrusters and the two power-generating solar arrays that are stowed against the SM body at liftoff, explaining the module’s smaller diameter compared to the 3.35m cargo module. Tianzhou features an orbit control system comprised of four 490 Newton main engines with extensive flight heritage on different missions including China’s lunar exploration efforts. The main engines are used for orbital maintenance maneuvers and the setup of proper phasing for the rendezvous with the space station. Eight small vernier jets are available for orbital-fine tuning maneuvers. The Propulsion System hosts eight spherical tanks that, according to reports, are similar to the Shenzhou spacecraft which can hold 230 liters of propellants. 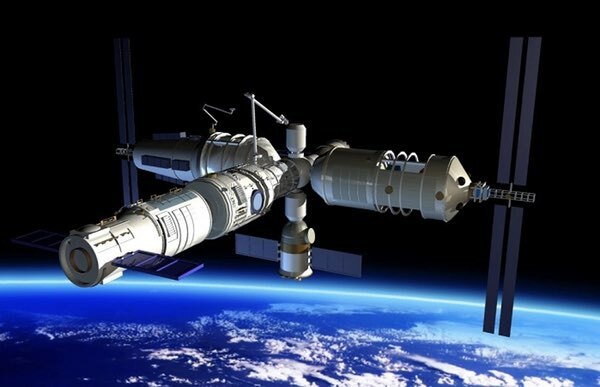 Tianzhou has a propellant capacity of two metric tons of Monomethylhydrazine fuel and Nitrogen Tetroxide oxidizer including transfer propellant for the space station. Attitude Control is provided by a series of 150-Newton engines. Pitch and Yaw control is accomplished with four pairs of thrusters while roll control and fine translation uses eight thrusters on the base of the Service Module. Tianzhou primarily relies on stellar navigation, employing redundant Star Trackers to collect imagery of the star-filled sky that is then compared to an onboard catalog of bright star constellations from which the spacecraft’s precise three-axis attitude can be calculated. An Inertial Measurement System is employed during attitude maneuvers and rate damping; and sun sensors act as backup attitude measurement device for spacecraft safe modes. The two solar array wings of the spacecraft each consist of three panels with a total area of over 24 square meters. The triple-junction Gallium-Arsenide cells deliver a peak power of 4,500 Watts, the orbital average is 1,900 Watts. Solar aspect sensors on the arrays are used to determine the solar incidence angle to allow the Solar Array Drive Mechanism to position the arrays for optimized power generation. Power is stored in 40 Amp-hour Nickel-Metal-Hybrid batteries and the vehicle uses a 100-Volt main bus that is carefully maintained between 98-103V. Central DC/DC converters supply secondary bus voltages of 28 and 12-Volts to power different subsystems. The data system of the Tianzhou spacecraft makes use of the 1553 standard for internal transmission of commands and housekeeping data as well as payload data. Communications use S-Band for the relay of telemetry while a Ku-Band system is used for the downlink of high-data rate communications that include multiple video feeds from spacecraft via the Tianlian data relay satellites positioned in Geostationary Orbit for full, global communications over the entire orbit of the spacecraft. The Service Module is joined to the Orbital Module via Transfer Section a little over one meter in length and conical in shape to transition from the 2.8-meter Service Module diameter to the 3.35-meter diameter of the Orbital Module. The space in this section is likely utilized to house support systems such as gas tanks for repressurizations of China’s space station and water tanks for crew consumption and oxygen generation. The Orbital Module is around five meters long and offers 15 cubic meters of internal volume that can be packed with cargo. 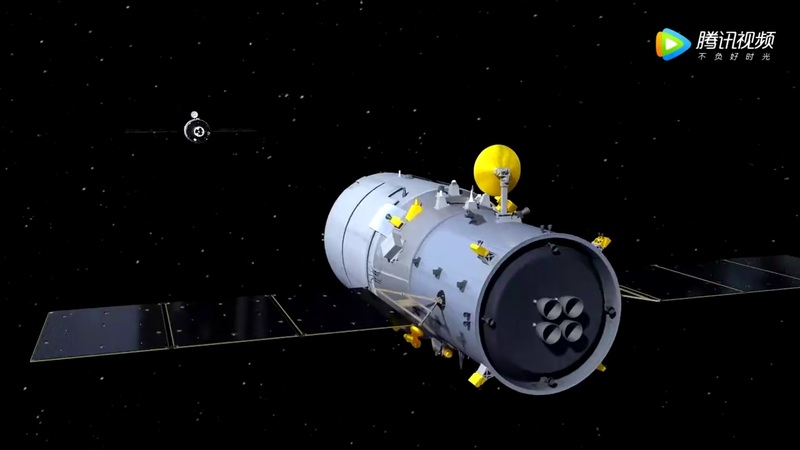 Tianzhou hosts cargo racks around all four sides of the spacecraft that can be filled with cargo bags and other equipment containers. Additional stowage space is available on the aft endcone of the pressurized section. On the exterior of the orbital module is a large radiator that expels over 2kW of heat generated in the Service and Orbital Modules and transported to the radiator via heat pipes. The front end of the Orbital Module hosts a 1.4-meter APAS-type docking mechanism which includes power/data interfaces as well as four fluid connections for the transfer of propellant and pressurization gas. According to reports, TZ uses a combined propellant system, allowing all propellant not needed for the primary mission to be transferred over to the space station, allowing for a more efficient use of resources compared to a separate propellant and refueling architecture. APAS stands for Androgynous Peripheral Attach System and similar systems were used in the Apollo Soyuz Test Project as well as Space Shuttle Missions to the Mir Space Station and ISS. Unlike the Probe and Cone Mechanism employed by Soyuz, APAS hosts two identical docking mechanisms on each spacecraft which can allow any APAS docking ring to mate with any other APAS ring. For each docking, one APAS system is configured to be in active operation (typically that on the chaser) while the other is in passive mode with its docking ring retracted. The ring holding alignment guides shifts at the moment of contact to align the latches on the active unit with the catches on the passive side to establish a soft dock. After relative motion has dissipated, the two rings are tightly pulled together by retracting the ring on the active side and securing the coupling via 12 locking pins to form a pressure-tight seal. The TZ-Tiangong/CSS architecture employs a rendezvous system comprised of several sensors to guide the active spacecraft, Tianzhou, to the space lab that fulfills the passive role. A long-range UHF radar system acquires the vehicle to begin the relative navigation phase of the rendezvous at around 50 Kilometers out. Communications between the two spacecraft are established to exchange navigation data and help the two find each other in space. At closer range, the spacecraft switch to a laser-based system for range and range rate measurement and an electro-optical navigation system to deliver information on the relative geometry between the vehicles. 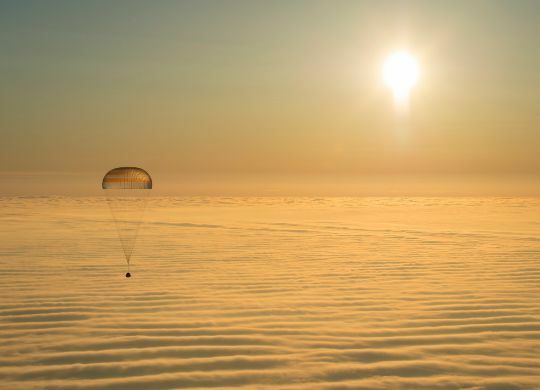 The rendezvous includes hold points at 5 Kilometers, 400 meters and finally 140 meters from where final approach is initiated. Ground commanding is only performed as necessary and the vehicles employ a complex logic that allows them to automatically determine whether their status is within allowable parameters for each stage of the rendezvous. Docking occurs at a relative speed of 0.2 meters per second and the lateral error has to be under 18 centimeters to accomplish a safe soft-docking.